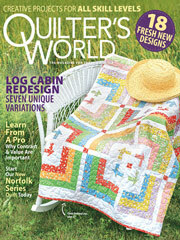 Both kids and adults will love the bright colors featured in this free quilting pattern. Featuring flying geese units that "flap" in different directions, kids will enjoy playing on this quilt. The triangles are fun to count! Kids quilt size: 32" x 44".